Minimalism is efficiency. Some people think that minimalism is about throwing everything you own away and being able to live out of a backpack… Not necessarily, it is mainly about having the essentials with you and having everything that you own have a purpose in your life. Minimalism can be a tool for you to find freedom; freedom from overwhelm, freedom from depression, freedom from guilt and fear as well as freedom from the trappings of consumer culture. Imaginary values – these are things we pacify ourselves with and usually they serve little to no good and often cause harm. Take a few minutes out of your day to find your values and sort them into these groups. You might be surprised to see how significant your values are. Like everything else in life, there is a spectrum to minimalism, you can have the people that just live out of their backpack, only have 2 or 3 changes of clothes and don’t have a permanent home. And then you have others who do have a permanent home, have a family but have minimalistic mindsets and tendencies. 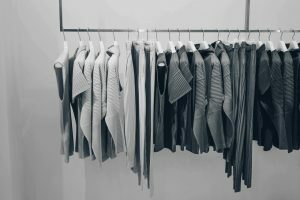 How can minimalism help with decision making? Every day you make decisions big or small, you can’t go a day without making one and like any activity, you can end up having decision fatigue. This can be where you make so many choices you end up being clouded and may not make the best choice at the time. You can cut some of that fatigue by following what a few successful people, the likes of Mark Zuckerberg and Barack Obama, do every day. If it doesn’t affect that then you have to think “is this hindering my other decisions?”, if so then find a way to eliminate it like Obama and Zuckerberg do with their clothing and food choices. So by taking away all of the non-essential decisions in his life such as what he wears and what he eats, Zuckerberg has more mental energy to make better and more decisions that affect his work and his life overall. Making decisions every day uses up your willpower and the more decisions you make, the more willpower you use. Just like Mark Zuckerberg, Obama adopts the same mentality over making decisions. They don’t dress the same because it’s fun, they dress the same because it works and they are able to defeat decision fatigue. Evaluate how to be more efficient on those decisions and use the 80/20 rule, find out the 20% of tasks that are using up 80% of your time and find a way to cut them down or minimise that 20%. Eat the same few meals – This is a 2-in-1 tip, not only will this help with decision fatigue but it can also be a good dieting tool and it boosts adherence. By doing a meal plan at the beginning of every week, you know what you’ll be eating every day as well as minimising the time you spend grocery shopping. You can take this one step further if you like with meal prepping, a technique that has become increasingly popular recently, where all your meals are made on Sunday for the entire week. Design a morning routine – The morning is one of the busiest times for you to make non-impactful decisions such as what to wear and what to eat. By having a routine, you are not having to use some of your mental energy and saving it for later. Shaun is a Marketing assistant working at Progressive Property. From a young age, Shaun has had a heavy interest in all things business and entrepreneurship. thriving to be successful in this industry, a passion that will show in his writing.